Once a month we have a Staff Meeting at my work where we all get together for a couple hours and discuss what new events or changes are going on in each of our different departments or for our organization as a whole – our round table meetings. As a small staff of twelve it’s really nice to have this time where we hear how each department is doing and how we have improved in our numbers (amount of clients served) this month compared to the same month the previous year. Having come from a small construction office where my meetings mostly consisted of sitting down with the President of the company, these monthly Staff Meetings at the current non-profit where I work was a new experience for me. We have also started a new thing where each month the spotlight is given to one person so they have a little more extra time to highlight what is going on in their department and inform us of new things that are coming up specific to their department. This month our Volunteer Coordinator was in the spotlight. She gave a very informative and detailed presentation to us all. As I sat there listening to each person speaking of their department and giving their updates, I suddenly felt incredibly proud to be surrounded by such amazing and inspiring women and our one gent. We are a staff of 11 women and 1 man. Our age range is from about age 24 – 52, and each one of us has such amazing experience and knowledge to share, from the youngest to the oldest, and I just felt truly thankful and blessed to have the opportunity to have this experience, to be working with these people. I am sincerely thankful. I don’t even know how to put it in words. I thought about how in my life I am truly surrounded by some amazing people. 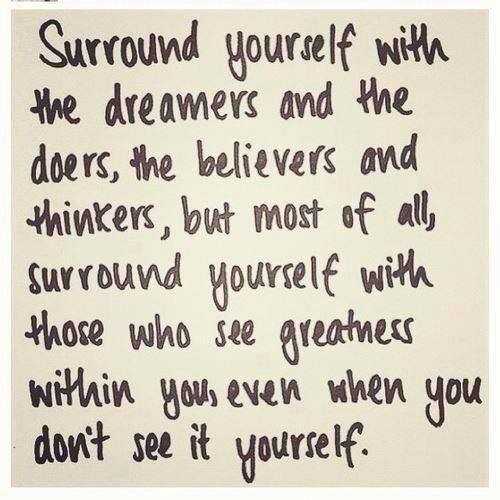 From those that I work with to friends and family members, all of whom encourage me and motivate me to dream big and see the greatness in me that I sometimes maybe don’t, or do see but sometimes doubt. I am thankful that I am working where I am working and that they see this greatness in me and are allowing me the opportunity to let me flourish within our organization.